Dolly push video of the white pieces on a chess board, with shallow depth of field. 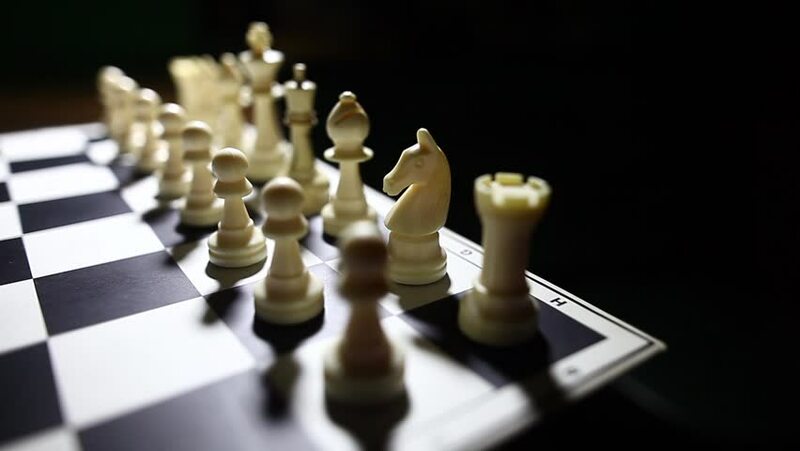 hd00:13Panoramic shot of a chess board, with black pawn and white king. hd00:11Dolly pull video of the white pieces on a chess board, with shallow depth of field. hd00:10Panning shot of a chess board with a hand moving the white pawn. hd00:13Dolly pull video of the white pieces on a chess board, with shallow depth of field. hd00:09Dolly pull video of the white pieces on a chess board, with shallow depth of field. hd00:13Panning shot of a chess board with a white king and a black pawn.